On the heels of our modular-synthesizer-heavy release and remix album by James Bernard, we dug into some other artists playing within the rabbit holes of analog frequencies. There are of course many to choose from, but one artist has recently caught our ear as a purveyor in both techno and ambient sounds within the modular realm. An On Bast is Anna Suda, a Polish based musician who, whilst making techno and experimental music also has a fine ear for beautiful ambient compositions. With a steady cadence of recordings since 2006, Anna was selected from thousands of candidates to participate in the (soon to be defunct) Red Bull Music Academy in Melbourne where like many others, she got to hone her craft. Since then, her infamous live sets which combine many of her production approaches and jump between modular to drum machines, have graced the likes of major festivals such as, Sonar (Barcelona), and Nachtdigital (Germany), and clubs from Berlin’s Watergate and Berghain, and Shanghai’s Elevator. Anna’s ambient productions were what really stood out for us, and her latest outing on the Dutch label, Shimmering Moods, titled Nothing Shapes Everything, is a perfect example of why this producer is so intriguing, malleable and talented across various approaches. Anna’s isolatedmix traverses a variety of territories that could be said to define her eclectic and varied production approaches. From the infamous Bill Laswell opening it up, to Woob, Coil, Loscil and Pan American, hidden amongst some of of the greats of the genre are some of Anna’s own productions adding a personalized tint to this extraordinary journey. I feel a little disappointed in myself that I hadn’t stumbled across Seahawks when I was back in England. It turns out the duo, consisting of Jon Tye (Lo Recordings) and Pete Fowler (known for his work with Super Furry Animals and his monsterism toys) have been frequenting some of my old haunts back home for quite some time. The Big Chill festival for example, or even the Big Chill Bar in London - both regular destinations for me a few years back. Funny, that I should come to own my first Seahawks record after picking it up at, of all places, Technique record store in Tokyo last year. But that’s the great thing about this type of music and in particular the approach of Jon and Pete as Seahawks- it’s music that transcends time and place. As they prepare to release their latest album on Cascine, titled Eyes Of The Moon (released 15th March) Jon and Pete have prepped a journey into their very hard-to-pin-down-cosmic world. 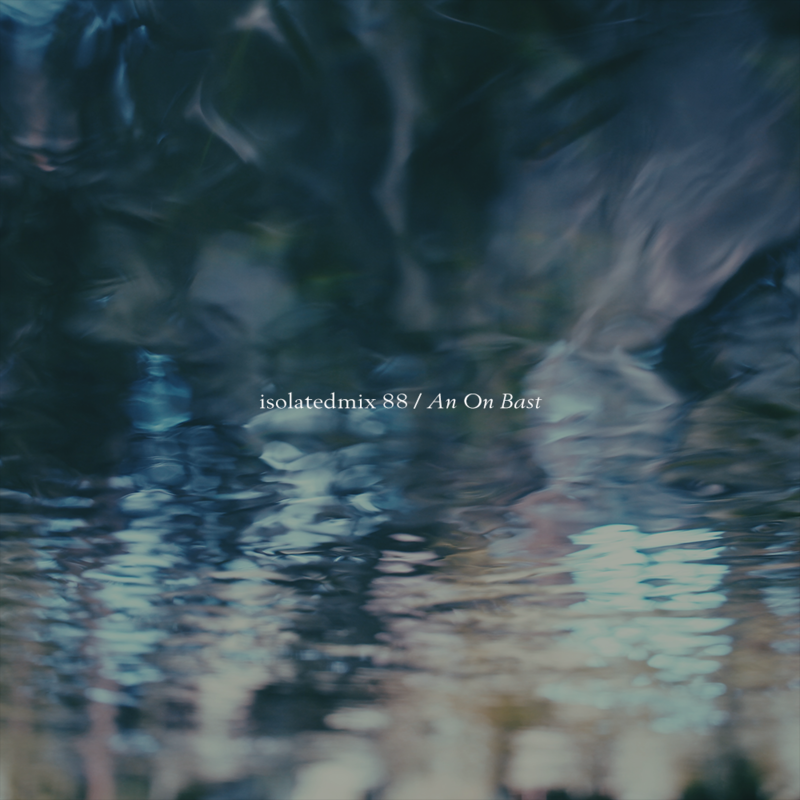 Taking advantage of their many years DJ-ing, collecting and throwing boat-parties, this isolatedmix does exactly what the title suggests. A celestial voyage, into the minds of Seahawks, traversing the many imaginable worlds they conjure up through their colorful, vivid and complimentary music and art. Read more about the Seahawks project and the mix in the Q&A with Jon and Pete, below. ASIP: You both have some serious history between you. Would you mind giving us the quick rundown of how you got to where you are today? Seahawks: It’s the 10th anniversary of our first release next year so yes indeed some serious history. To some extent we just pointed the ship in the right direction, stocked up with supplies and set sail into the unknown. It’s been a great trip but as to how…I guess we let the cosmic wind carry us along. How did Seahawks come about and what inspired the project? When it comes to the specifics of the project, Jon, you look after music and Pete, art. How important is it to you that these two are presented as one in today's throwaway streaming world? It makes a big difference for us to present a conceptual whole, the Eyes Of The Moon album is actually the first where one of us has not created the artwork but it was fun to work with other people and direct the art rather than make it for a change. It’s a many headed good natured beast that likes to venture out for a cavort in the cosmos and loves all kind of esoteric delights from deep space vibrations to deep ocean drones, but we’ll settle for "whale drone amplified through an enormous pearlescent conch”. You don't hear much music like this anymore. Am I just not digging hard enough, or are you just fighting the good fight and bringing it all back? Well it’s all out there but I think our music is just a little more expansive than most current music I hear. We’d certainly like to bring back a strong cosmic vibe in these troubled times. Who or what are the main inspirations for this specific sound? Right now the Mu-tron Bi Phase is a big feature in our lives, it just instantly makes everything sound more lush and immersive. Cassette tapes are also a really big influence, the sound is so ear friendly. It sounds like you like to lay low, play great parties and put out timeless records that abide to no-one or nothing (how it should be!) How do you find the ambient and experimental scene in particular? Would you even place Seahawks within it? There’s a lot of incredible music out there and the reissue scene helps keep things interesting. I think we’re part of a historical scene that includes all sorts of music and vibrations. Thank you for such a great, eclectic and as you describe "celestial" mix. How did you approach the mix and where was it recorded? This mix contains mainly tracks from CD. I think CD has got a bad rap and that if you have a good CD player they can sound great and it’s also a way to find tracks that are either not available or too expensive on vinyl. It was done over a two week period. Where should people be listening to this mix? Poolside? The other side? Wherever feels conducive. One suggestion: Transfer to cassette and listen on a walkman on a train to Amsterdam before heading for a smoke by the Amstel. A suitably modified one and hopefully our mix will help take you to a ‘very fine state of mind’. The influences in the mix range from classic ambient and chill-out, to dub, ethnic, tropical, disco, even classic Larry Heard - the list goes on. What makes a DJ set great in your opinions? We like surprises but not ones that are jarring and there has to be a flow but there’s no reason the journey can’t visit some unexpected ports on the way. It feels like a very grown up and mature set - like a hell of a lot of experience has gone into your ears and record collections. I can smell the years digging. Are you both serious collectors? We both have plenty of music on multiple formats but I don’t think either of us consider ourselves serious collectors. We know people who are and we’re nowhere near that league! You've treated us to an exclusive remix in here too, how often do you make edits of your own music to suit a set or a mix? Is it important for you to always present new music in this way? There are always potential alternative versions of tracks, ideas we’d like to extend and transform. We definitely like to present a multi-faceted vision when we can. Jon, you played at a bunch of places in the UK (where I used to live) - from The Big Chill to Spiritland. Where would be the ideal place to spin this type of set nowadays? I think it might well be The Hutong Café in Plymouth. It’s right by the sea and only an hour or so from the studio in Cornwall and we can arrive by ferry and play whatever we like. What track/s didn't make it in the mix that you might still want to share with us? Finally if this was your closing set - last set ever - lights coming on - what would you be ending with? Releasing music since the early 1990’s, electronic music producers rarely come as seasoned as Scanner. Robin Rimbaud’s productions can be found on seminal labels such as Sub Rosa (home to early records and label-mates such as Coil, Gigi Masin, Bill Laswell, John Cage, Stars of The Lid) Glacial Movements and Lawrence English’s, Room40 amongst many more over the past ~30 years. But along with the relentless catalog spanning the full spectrum of experimental and electronic music, Robin has also scored over 65 contemporary dance productions including works for establishments such as The London Royal Ballet, the worlds first Virtual Reality Ballet, sound installations at airports, and collaborations with Bryan Ferry, Michael Nyman and Steve McQueen. And you know that classic trick of police scanner recordings over ambient music? Well Robin was doing that back in 1993, with Scanner -Scanner. To try and do his background justice here would probably be an injustice… so to say, there’s a world of Robin Rimbaud to explore, is an understatement. Our journey here though, begins after Robin and I were discussing some of his unreleased music which he made in Captiva Florida at the Robert Rauschenberg Residency last year. It featured only one synth and one effects unit, and was stunningly beautiful for such a minimal piece of music. 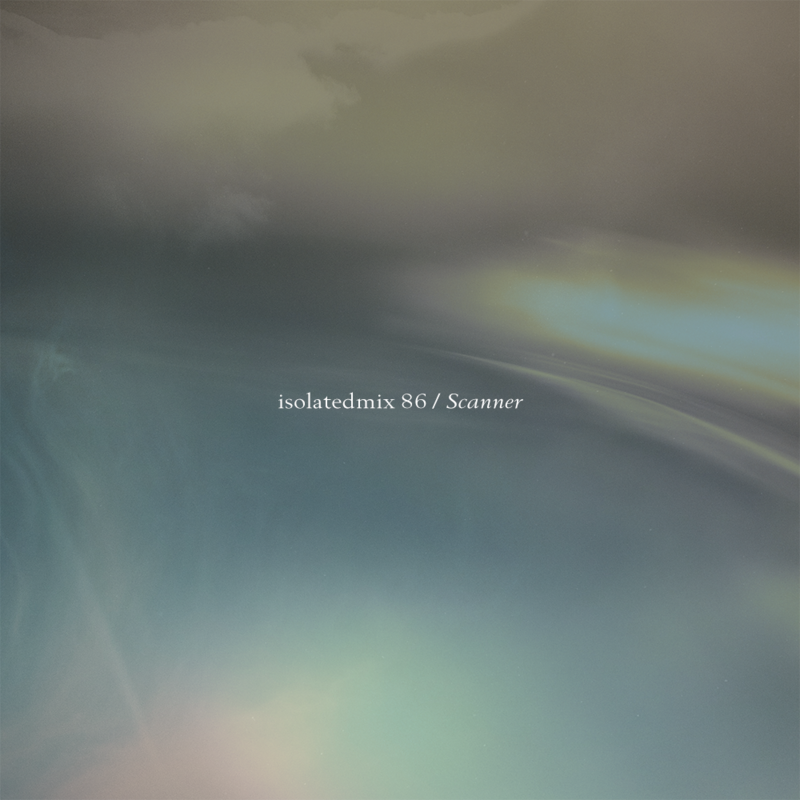 It inspired me to ask Robin to make a synth-focused isolatedmix, of which he duly obliged and even included one of the pieces we were discussing. Timing worked out perfectly too, as we gear up for James Bernard’s Modular synth release on 25th Feb, this is a lovely warm up. The result is a true narrative told through the many styles of synthesizer-focused music. From vets such as Klaus Schulze and RDJ, to modern day innovators in Loscil, James Holden, OPN and Cortini, this is The Night You Dreamt. Black Swan’s music goes back to the early days of discovery here on ASIP. It was our good friend 36 who put us on to the cinematic drones of Black Swan’s 2012 album Aeterna, and by way of an introduction, the musical similarities between the two aren’t dissimilar, especially when concerning some of 36’s earlier works. The pair even teamed up in 2012 for a track called, Mist and are also set to collaborate again this summer. News also just hit that Black Swan and Hotel Neon will be collaborating in 2019. Two artists who are great at creating dense and interesting soundscapes, evident by Hotel Neon’s latest album, ‘Means of Knowing’. But where Black Swan’s music comes into its own (dark)light, is the continual swirling descent; music that pulls you down deeper, in the very best way. Black Swan is built for cathedrals at night, with mysterious, sometimes religious connotations, and most importantly, epic walls of sound. It’s vivid ambient music that demands your attention. Given the introduction so far, you’d probably expect a full-on drone isolatedmix to follow, but instead Black Swan draws a certain tense and suspenseful tone through numerous styles. From the recorded manipulations of Chris Watson setting the scene, to the driving pulses of The Field, and the break in the clouds with Jon Hopkins and Aural Method. It’s a journey as emotionally charged as Black Swan’s own productions. 05. Black Swan - Slow Oblivion"